Award-winning original fiction for learners of English. At seven levels, from Starter to Advanced, this impressive selection of carefully graded readers offers exciting reading for every student's capabilities. A spaceship crashes on a strange planet. The only survivor, Mary Mount, is taken prisoner by an alien civilization. In time she is allowed to return to her old planet with some of her new friends. But when they arrive back at her home, the plan seems to have changed. And Mary doesn't receive the welcome she expects. Paperback-only version. Also available with Audio CD including complete text recordings from the book. Part I: 1. Superbird crashes in the desert; 2. 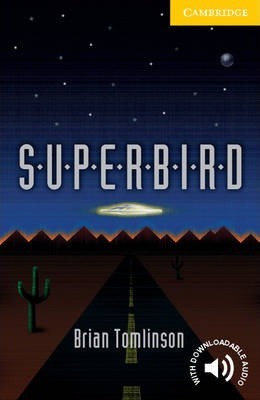 Escape from Superbird; 3. The house; 4. The drawing of Superbird; Part II. One Year Later: 6. The return; 7. June's daughter; 8. Captain Lake; 9. The Superbirds leave again.